NOVA's American Culture and Language Institute (ACLI) teaches ESL to students from all over the world. NOVA Workforce’s American Culture & Language Institute (ACLI) serves local residents, visitors to Virginia, and international students in their efforts to improve their English language skills. ACLI helps students achieve their goals of language proficiency for self-improvement, academic studies, and professional development. ACLI also offers customized training in ESL for the work environment and in the areas of cross-cultural communication, multiculturalism, and diversity awareness. ACLI offers classes at most NOVA campuses and at some workplaces in Northern Virginia. Students are placed in ACLI classes after taking the ACLI Placement test. The ACLI can offer language training and diversity workshops in the workplace. Contact us at 703-503-6300 to learn more about these opportunities. New students must create a Student Profile online in MyWorkforce. This is a one-time process for new ACLI students. The Intensive English Program (IEP) is designed to prepare students for college at NOVA or at other American colleges and universities. The IEP program also helps many students achieve their goals of language proficiency for self-improvement. IEP is offered at seven levels, from Intro to High Intermediate. Many IEP students have F-1 student visas. F-1 students must take two intensive classes to fulfill their visa requirements of full-time study. Other students may enroll in IEP full-time or part-time according to their academic and self-improvement goals. If you want to take classes in the ACLI IEP and need a student visa (F1) to study at NOVA, please review the International Student Admissions Process. The Part-Time Program is designed to help students improve their English proficiency to allow them to better deal with daily interactions and/or to improve their career readiness. 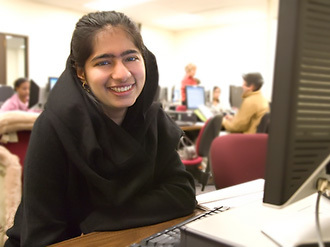 Many of our Part-Time students are immigrants who live and work in Northern Virginia or are visitors to the area. The Part-Time ESL courses are designed to help students improve their communication with others and to build pre-academic language in preparation to enter NOVA’s College ESL Program. 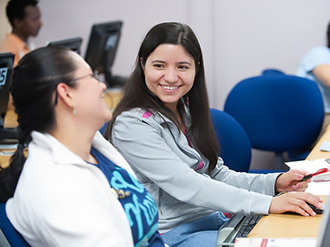 Part-Time ESL is offered at five levels, from Low Beginning to Low Intermediate. The Part-Time Career Readiness courses are designed to help students improve their work-related skills in English or in preparation to enter NOVA Workforce’s Certificate Programs in healthcare, information technology, and business. Part-Time Career Readiness is offered at three levels, from High Beginning to Intermediate. The Support ESL courses are designed to help students improve their English proficiency in discrete areas, such as pronunciation, grammar, and online learning through Blackboard and Accuplacer preparation. Both ACLI and Workforce Credential students can take a support class as a stand-alone class or in conjunction with their other classes. Support ESL is offered in multi-level classes at six levels, from Low Beginning to High Intermediate.